The whole time we were fostering the boys, I just could never bring myself to pull the trigger on decorating their room. Their bedroom had previously been our playroom, so of course we moved and changed a lot of things to make it their room, but as far as actually going with a theme and fully decorating it, I just couldn't. I think I wanted it to be so personal to them, and not knowing if they were going home, or to another foster home or staying, I just felt so conflicted on it. I came up with a lot of ideas, but every time I almost got ready to do it, I just didn't. They are also full on BOYS and love to destroy things, so we ended up having to move their cribs away from walls and taking down a lot of the art work and things we did have up. Now that they are getting a little older, they're getting ready for twin beds and I feel like it's a good time to just give their whole room a refresh and fully decorate it. So, even though there are a few things, we are basically starting from scratch here. I decided to go with black and white. I am not sure exactly why I finally decided on this (I had several different colors schemes and theme ideas in my head) but it just feels right for them, so I'm going with it. Their walls are painted gray and I'm not planning to re paint at this point, since we probably won't stay in this house that much longer. We will be moving them to twin beds soon, and we are getting them a set of beds that can stack as bunk beds or be 2 twins. We'll use them as 2 separate twins for at least the next several years. (I can guarantee someone would end up with a broken bone if we let them have bunk beds. Plus, they are way too young for bunk beds, I think!) 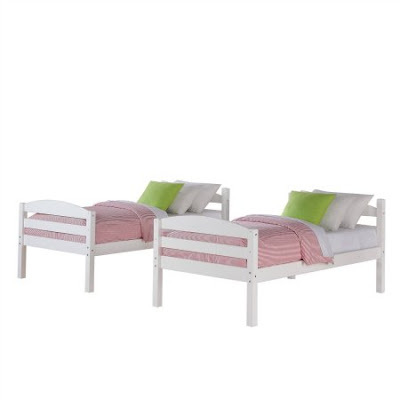 These are the beds we are ordering. I went back and forth on what color to get the beds in. I really liked how these beds looked gray, but since their walls are gray I thought that would be too much. I was concerned about getting them white beds because they are really messy boys, and I feel like they'll get so dirty and/or ruined being white, but my husband didn't like how the black beds looked, so white it is! I am kind of thinking the boys will use them in this house, and when we move in a couple years, we might have the girls and boys switch beds. We'll see. 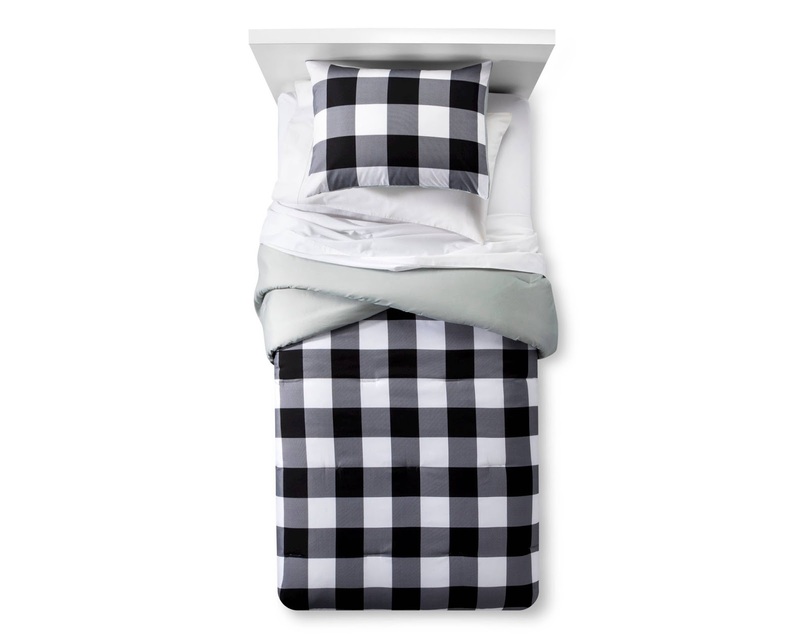 Going with a black & white theme, I ordered them these comforters. I just love them and think they are so classic looking. I think they will grow with them, and even if we switch the theme of their room in a few years, these could really go with anything if we add different pillows and such, since they're so neutral. Side note: I was reminding my husband the other night that I actually wanted to do our first nursery in black & white with a few pops of color! 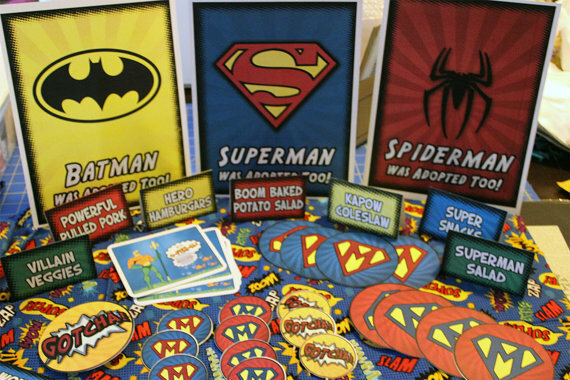 At that time (in 2011) I couldn't find ANY black & white things for a nursery or kids room. There was just nothing. So I guess I have actually had this idea in my mind for 6+ years and now I'm finally using it since the world seems to have gained a lot of black & white kids room decor! 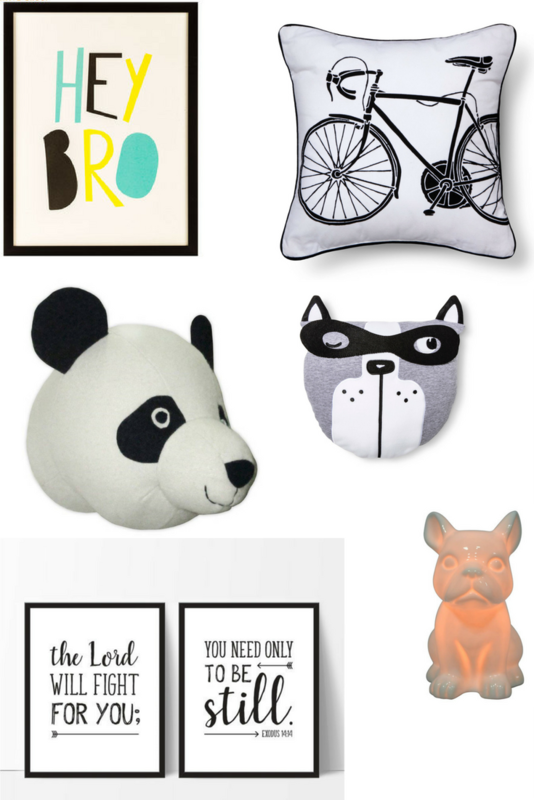 Speaking of decor, it seems like a random mish mash of things, but I tried to choose some things I knew the boys would love, and that could grow with them. I will probably get a few more things (I really am trying to keep it pretty simple, though) but here is what I've got so far. The Exodus 14:14 prints I am planning to blow up poster size, frame and hang on one wall. I had originally planned to hang them over their beds, but now we are planning to have their beds pretty far apart so I don't think that would look right. This is a verse I prayed over them a lot while we were fighting and waiting to adopt them. The Hey Bro print we have had hanging in their room for awhile. They say 'hey bro' to each other all the time in the cutest way, so when I saw it, I knew it was perfect. Turns out it will still work out really well in their room and just give a little pop of color! The one we have is actually blue and green, not yellow. They have a dresser now that I am planning on painting, probably white. It will go between their beds and I think the nightlight will sit on that. I may do a framed family photo on there as well, not sure yet. They will each have one of the throw pillows on their bed, but I will probably end up with a couple other throw pillows for each of them. I haven't decided yet where I'm going to hang the panda head. I've been thinking about possibly getting a tapestry for one of their walls, probably the one above their beds and dresser. If I do that, I'm not sure where to put the Panda. He may or may not end up staying. My in laws threw them a superhero adoption party and I kept some framed pictures, similar to these that I am planning to hang. I want to get a few shelves to hang on either side of their window. I can't find anything local that I love, so I may order from IKEA. I found some floating shelves at Target that I like, but they never have them in stock and they can't be ordered. 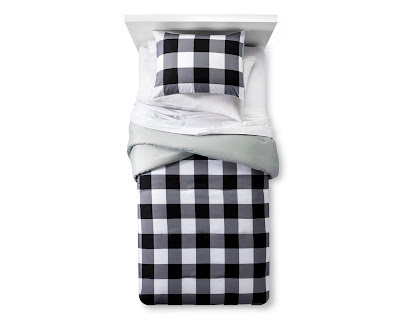 I'm looking at these from IKEA, and possibly going to do either 2 or 3 on each side. I have plans for several cute things to put on their shelves, whenever we do hang those. My husband's aunt is going to do something with their names that I am thinking I'll put there, and I'm excited to see those! 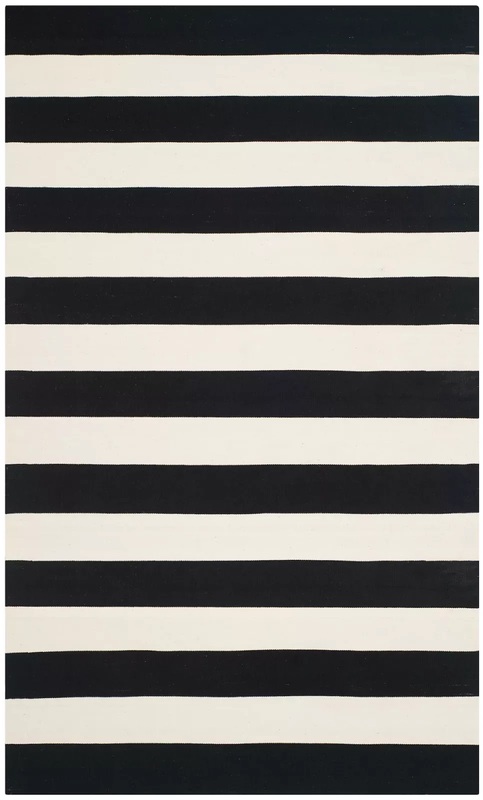 I also haven't quite decided on a rug. I don't want to have way too much going on as far as patterns, but I feel like they'll need something for the empty space between their beds and in front of the dresser. 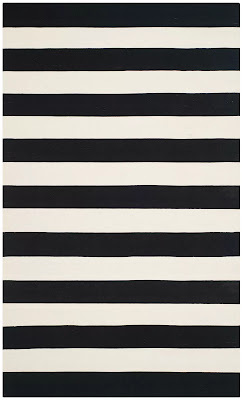 I've been going back and forth between this one from IKEA and this one from Rugs USA. We don't have an IKEA close by, so shipping to get it here is outrageous, unfortunately. Ok, well, that was probably way more talking than 1 person needs to do about bedroom decor. So, I'll leave it at that. I will definitely do a post when I finish getting it altogether, so you can see how it turns out! I am excited for it to be complete!